Professors blogg gladly announces the upcoming release at the World Psychiatric Association meeting in Florence, Italy, of the Oxford Textbook for Suicidology and Suicide Prevention: A Global Perspective (Ed. 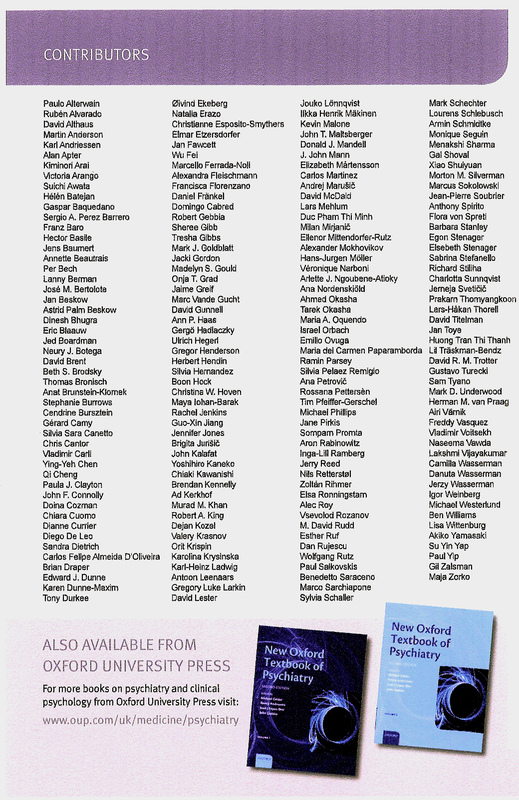 Danuta & Camilla Wasserman) in which we are included 13 authors from Sweden. 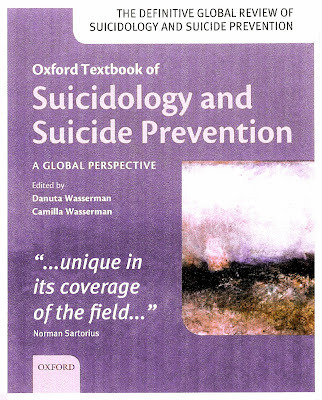 We are happy to inform you that the Oxford Textbook for Suicidology and Suicide Prevention: A Global Perspective, amounting to more than 900 pages, comprising of 134 chapters with 194 contributing authors, has now the official release date on March 26th. The book will be launched during the WPA meeting in Florence, April 1-4 2009. We would like to express our sincerest gratitude and appreciation for the hard work that all of you provided during more than 2-years it took to complete the book. We are also happy to report that we were able to insert all of the authors’ corrections and last minute changes to the book. Once again, we would like to thank all of you for your extraordinary and well-written contributions. National Prevention of Suicide and Mental Ill-Health (NASP) at Karolinska Institute and Stockholm County Council's Centre for Suicide Research and Prevention. Nationell Prevention av Suicid och Psykisk Ohälsa (NASP) vid Karolinska Institutet och Stockholms läns landsting centrum för suicidforskning och prevention av psykisk ohälsa.